In March of 2017, I spent a week at Petersburg, West Virginia. I camped outside, brought along my glider in the hopes that the week would allow for some excellent soaring. I would be able to get my climb to 22,000 feet again, and finally get that Diamond Altitude Badge. The weather wasn't any good for soaring that week. It rained just about every day. 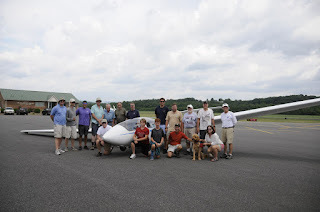 But during that time there, we got to watch the way that Shenandoah Valley Soaring's club does their glider operations, and I got an idea. I watched SVS use the very large runway at Grant County Airport (W99). 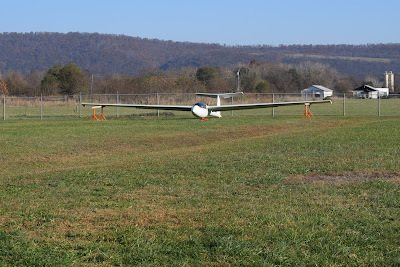 They would launch the gliders at the first third of the runway. There would be plenty of room for the gliders to take off and climb out safely. 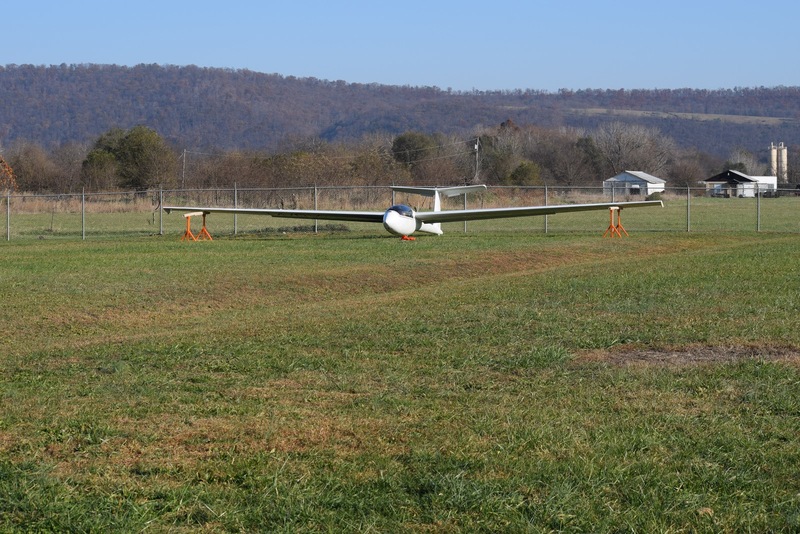 The glider could come back to the airport and land on the first third of the runway. Then, the tow plane could land on the adjacent grass portion of the airport, taxi onto the runway where the glider was waiting. 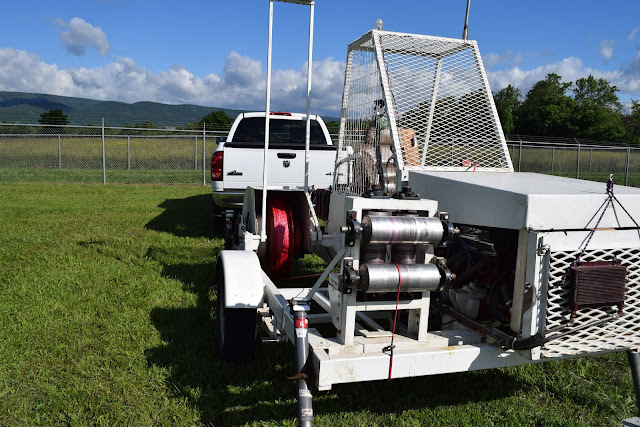 The ground crew can hook up the tow line to the glider, raise the wing, and launch a second flight. What a magnificent set up they have at Petersburg! Watching their streamlined operations got me thinking about how we do business at Front Royal. The runway at Petersburg is about a mile long; while the runway at Front Royal is 3000 feet long. There is a taxiway about 2/3rds down the runway. 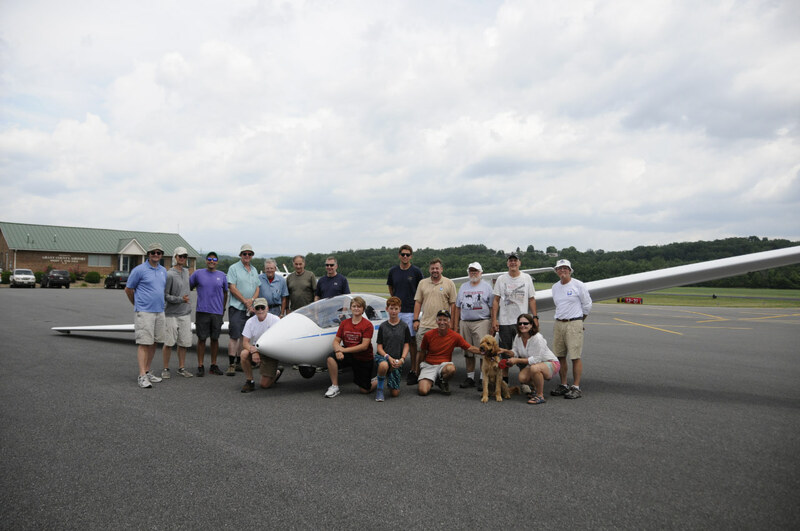 We have gotten used to landing the gliders, rolling for a quarter mile and coming to a stop at the taxiway. 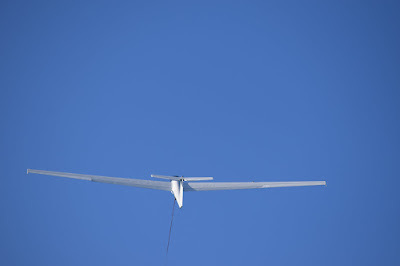 The student and instructor must then get out of the glider, push the glider off of the runway. A tow car must show up. The glider has to be attached to a rope. The glider and tow car walk 1670 feet -- that's a third of a mile -- to return the glider back to a point where another flight can be made. 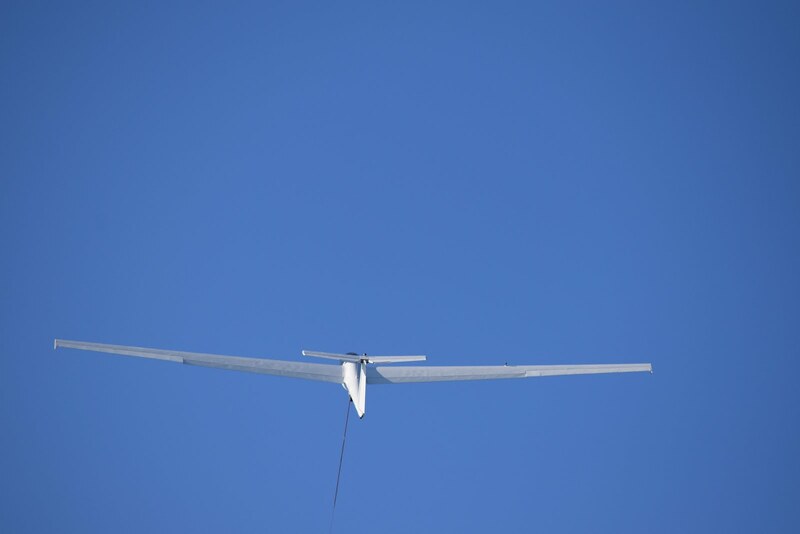 It takes another 3 minutes to push out the glider to the start point, hook it up and launch. While we're doing flight instruction at Front Royal, it is extremely difficult to get a second flight launched within 10 minutes. All of the factors have to be perfect. At Petersburg, SVS looked like they could get the whole launch done in 2 minutes. Ten minutes per flight is a huge opportunity cost. Those ten minutes could be spent flying. At Front Royal, one of our two seat trainers has done as many as 14 flights per day. Added up over a day's worth of flying, those 10 minutes cost us 140 minutes of time that the glider could be flying. That's 2.3 hours! Those of us who were sitting on the ground in Petersburg wondered out loud if we could do our week of training at Grant County Airport instead of at Front Royal. I hatched a plan, and called it "Audacious WoT Proposal", and the wheels started turning. Eventually, we got enough volunteers to agree to tow and instruct for the Week of Training. Both tow planes, both trainers and enough students migrated out to Grant County Airport by Sunday evening. Larry Stahl granted use of his hangar for storing the gliders and one of our tow planes for the week. We started with 9 students, 3 instructors, and 3 tow pilots. The operations worked out brilliantly. On our first day of operations, we performed 39 flights. The time between the first takeoff and last landing was only 7 hours and 22 minutes. Our second day of operations ran very smoothly. We flew for only 6 hours, but managed to get 41 flights in during that time. Wednesday had 45 flights, and Thursday topped out at 51 flights! All of the students showed tremendous progress during the week. By the end of the week, we had soloed 6 club members. Four of these members had soled for the first time. I am incredibly pleased about how well this week of training worked out. Since we started electronic record keeping in 2005, we've kept track of the number of flights per day. In those 12 years, four of our top ten operations per day were during this year's week of training. I hope that all of the members who participated this year were as excited as I was to plan the event. I hope that next year we can get more students to participate. I also would really like to have four active instructors for the entire week. Pete Maynard and I kept very detailed notes about the things that could have gone more smoothly next year, and I hope Larry Stahl will allow us the use of his hangar, next year, too.